A modular adapter that can be used with most desk phones. It provides a standard quick disconnect plug on one end and a 2.5mm plug on the other. 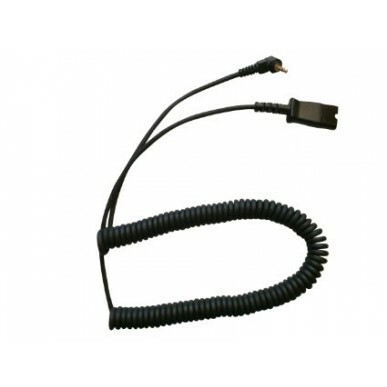 It plugs into any cordless 2.5mm headset jack and desk phones with 2.5mm pin headset port. Worked perfectly with LG/Nortel IPECS system handset. Was great to find genuine spare parts at such a great cost !